Special anti-corrosion coating for rust resistance and easy threading. Mil Spec for aircraft. These fit most 1/4" prop shafts that have a 1/4-28 threaded end. For example, AeroMarine, Octura, Hughey, OSE, Speedmaster and many more of 1/4" Prop Shafts made in the USA. 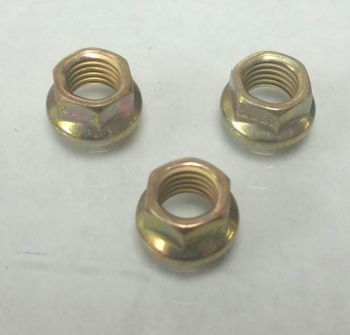 (3) 1/4-28 Stainless steel threaded prop nuts.